Designed to tackle the aches and pains commonly reported among pregnant women, pregnancy massages are excellent defeaters of stress and discomfort, both in pre-natal and post-natal periods. The best part? We bring the Blys massage to your home, so you don’t even have to leave the comfort of your living room! The most common side effects of pregnancy include swelling, lower back pain, pressure due to increased weight bearing, stress, hormonal fluctuations, trouble sleeping, and general discomfort. All of these problems are tackled by professionally trained massage therapists, using specially designed equipment to cater to the pregnant woman’s body shape, leaving you totally refreshed and relaxed. If you’re expecting or know somebody who is, why not pamper them with a mobile massage? It’s 100% safe for mum and the baby, and comes straight to your home! Want to know more? Read our blog post on massages during pregnancy. Ideal for mild tension or soreness. Ideal for moderate discomfort and stubborn aches. Ideal for chronic aches and pains for maximum relief. A pregnancy massage is a special form of massage therapy that is exclusive to women in their second and third trimesters. What's the difference between pregnancy massage and remedial massage? The biggest difference between pregnancy massage vs remedial massage is that pregnancy massage is a relaxing, soothing massage instead of an intense form of therapy. Your massage therapist will tailor their pressure to suit your pregnancy massage to ensure they are eliminating any tightness or soreness you may be experiencing. Remedial massage or deep tissue massage may be too strong for pregnancy. What should I look for in a pregnancy massage therapist? While all Blys massage therapists are qualified and experienced in a range of massage therapies, there are some who specialise in pregnancy massage. Most women who request a pregnancy massage prefer a female pregnancy massage therapist. This is an entirely personal choice. You need a pregnancy massage therapist you can trust and feel comfortable with to look after your body during this delicate time. All Blys massage therapists are thoroughly vetted, so rest assured that all therapists on the Blys platform are knowledgable and experienced. If you’re booking a massage when pregnant, a specialised pregnancy massage will maximise the benefits you receive from massage therapy. Pregnancy massage is tailored to expecting mums, complete with pillows, blankets and a table to ensure maximum security and comfort for mum and bub. It is the best form of massage when pregnant. Who should not get a pregnancy massage? Pregnancy massage is only recommended to expecting mums in their second and third trimesters. The first trimester is the most sensitive time for baby’s development and so we do not offer pregnancy massage therapy during this particularly delicate time. You should always consult your health care profession when seeking pregnancy relief methods. Are there any risks involved in pregnancy massage? As this period is a very delicate time for a woman’s body, there are some risks of pregnancy massage. If you are carrying more than one child, have experienced any pregnancy complications (including in previous pregnancies), experience any other adverse health conditions, you must always consult your health care professional prior to booking a pregnancy massage. Pregnancy massage is not offered to women in their first trimester as this is the most sensitive time for baby’s development. Can I get a foot massage while pregnant? A foot massage can help to relieve any pain or pressure you may be experiencing, however, you should consult your health care professional before you book a foot massage during pregnancy. With all that added pressure, you might be experiencing some fluid retention (oedema) or swelling in the feet and ankles. An increase in blood volume can also cause of swelling in the legs. To ensure that a foot massage is safe for you, speak to your doctor before you book a massage during pregnancy. How should I prepare for my pregnancy massage? Ensure that you and bub are well hydrated prior to your pregnancy massage. Eat something light no less than two hours prior to your massage. Blys mobile therapists will do the rest, so you can enjoy a home pregnancy massage in comfort and security. What can I expect from a pregnancy massage? Blys mobile therapists will bring a table, pillows and blankets to your home pregnancy massage – you don’t have to worry about a thing! Pregnancy massages require the expecting mum to lie on her side on the table while pillows are used to cradle the belly. This maximises the comfort of both mum and baby. Blys massage therapists do not use massage tables with centre cut-outs because allowing the belly to dangle during massage can cause stretching and discomfort. Lying sideways on whichever side you prefer is the most beneficial during your home pregnancy massage. How shall I feel after a pregnancy massage? ou will be glowing! A home pregnancy massage is an ultimate indulgence for those hard-working mums-to-be, so your Blys massage therapist will ensure that you are relaxed and rejuvenated. A home pregnancy massage maximises comfort and minimises effort, so you can rest assured knowing that you’re feeling good and rewarding yourself with no stress whatsoever. What are the potential benefits of pregnancy massage? There are many benefits of pregnancy massage, including a relief from pain and soreness, decrease in stiffness, increase in mobility and a general pampering session. Many women choose pregnancy massage to help them target the unique aches and pains that pregnancy introduces. The benefits of pregnancy massage also extend to your mental wellbeing as massage can reduce stress and anxiety as well. You sure can! 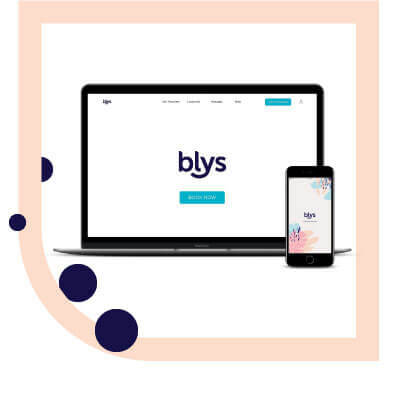 To book your next lymphatic drainage massage at home, head to the Blys website or download the app and have a professional therapist delivered directly to you. 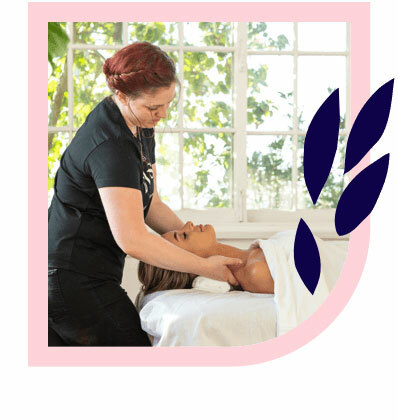 Blys mobile massage has therapists operating all around Australia. To find your next “pregnancy massage near me”, check out the locations we serve.